On November 18, 1949, at 56 Randall Street, in the mostly poor, mostly black, Randall Square neighborhood, local African Americans crowded into the new Celebrity Club bar. It wasn’t quite finished, but the crowd didn’t pay much attention to the details of interior decoration as it took in, according to historian Jason McGill, “the sounds of the first of innumerable jam sessions featuring some of Providence’s finest jazz talent.” White jazz lovers also came in to sit at the bar, enjoy the beer, and hear the best music in Providence. The Celebrity Club was founded by Paul Filippi, an Italian American who loved jazz, and was eager to make a difference in a segregated city. It was the first interracial club in New England, welcoming black and white musicians and audiences. Before it opened, African Americans in Providence who wanted to listen to live jazz, or even just go out for dinner, had to cram into narrow, crowded black neighborhood clubs or travel to other cities. "People from all over New England have poured this way into this Randall street house of big name bands. … Judge Dooley and a party of six complimented Paul Filippi on his ability to bring nationally known entertainment to Providence. Other community leaders in the business and professional field are phoning in for reservations." 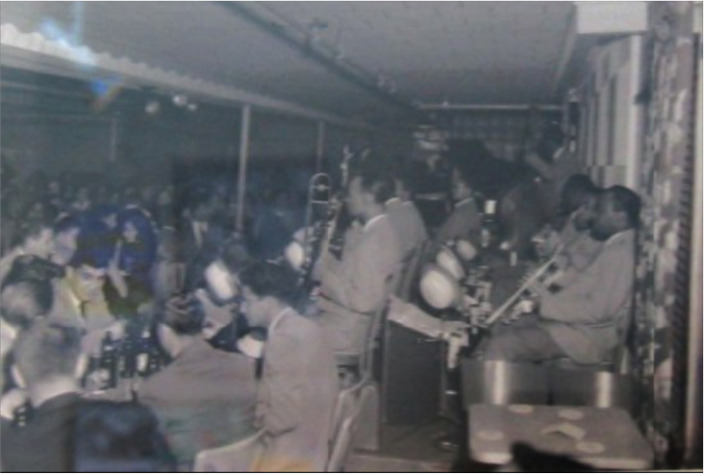 In addition to providing blacks and whites a chance to enjoy the best jazz music in Providence, the Celebrity Club worked for racial equality. It maintained, notes historian McGill, “a solid stance of openness and equality,” by providing its performers what one of them called “a musician’s paradise” and paying its African American employees top union wages. But not everyone was happy to see a successful interracial club. The Providence police raided it regularly, harassing black club-goers. Filippi sold the Celebrity Club in 1958, and it closed in 1960. A commemorative plaque was erected in 2013 and can be viewed on the east side of the Marriott Hotel where Charles and Ashburton Streets merge. Erroll Garner was one of many well-known African-American musicians who performed at Providence's Celebrity Club before an integrated audience. 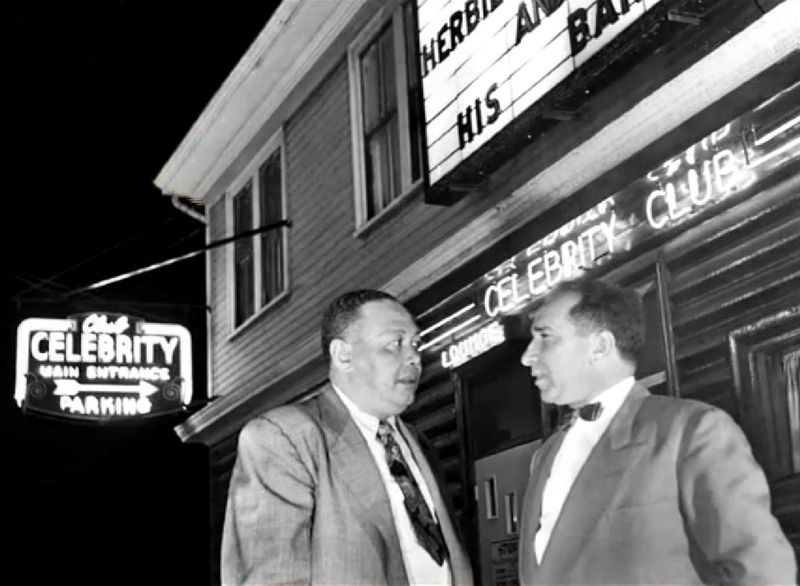 Celebrity Club exterior: During it's brief run from 1949 to 1960, the Celebrity Club in Providence showcased the best performers in American jazz to an integrated clientele. 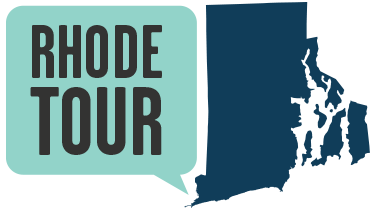 Yuanyuan Dai, “The Celebrity Club: Best Jazz in Providence,” Rhode Tour, accessed April 23, 2019, http://rhodetour.org/items/show/39. McGill, J. “The Celebrity Club: Social Change in Postwar Providence.” Rhode Island History 63 2 (2005): 30-48. Williamson, Frederick. 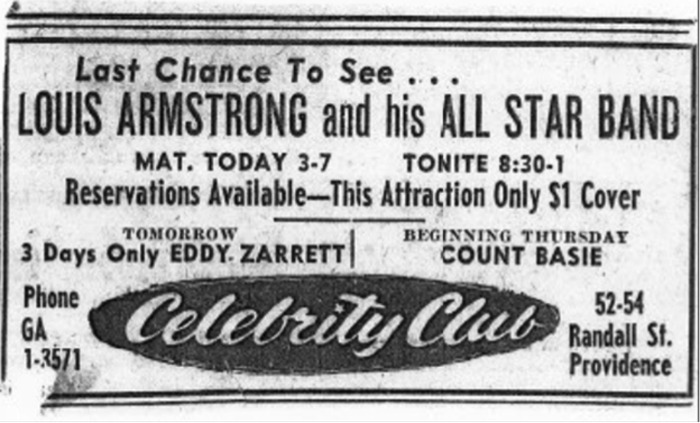 “At the Celebrity Club.” Providence Chronicle. June 1951.